Ukraine’s steel production has dropped by 29% in the wake of the military conflict in eastern Ukraine, according to the country’s latest production figures. 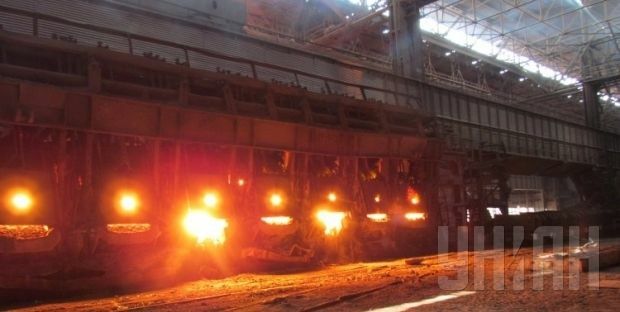 In October, Ukraine was listed twelfth in the list of steel producers by volume, which is compiled every year by the World Steel Association (WSA). In October 2014, Ukraine’s steel production dropped by 28.7%, to 1.870 million tonnes, versus October 2013. With a steel production volume of 23.4 million tonnes, Ukraine was ranked tenths by the WSA from January through October 2014. The country’s steel production declined by 15.2% compared to the same period of the previous year. In spite of a 0.3% decrease in steel production versus October 2013, China remained the biggest steel-producing country, accounting for 67.5 million tonnes of steel. The other top ten steel producing countries are as follows: Japan (9.4 million tonnes, -1.7%), the United States (7.3 million tonnes, -0.7%), India (7.1 million tonnes, +8.5%), South Korea (6.2 million tonnes, +4.5%), Russia (5.8 million tonnes, +1.6%), Germany (3.5 million tonnes, -5.9%), Brazil (3.1 million tonnes, +2.7%), Turkey (2.7 million tonnes, -11%), and Italy (2.1 million tonnes, -5.4%). On the whole, the 65 steel producers listed by the WSA have maintained their production volumes at the level of October 2013. In the first nine months of 2014, these countries stepped up their overall steel production by 2%, to 1.368 billion tonnes versus the same period of 2013. China is currently the biggest steel-producing country – in January through October 2014, it produced 685 million tonnes, having increased its production by 2.1%, versus the same period of 2013. China is closely followed by Japan (92.5 million tonnes, +0.6%), the United States (73.7 million tonnes, +1.4%), India (69.5 million tonnes, +2.5%), South Korea (59.5 million tonnes, +8.9%), Russia (59 million tonnes, +2.5%), Germany (36.1 million tonnes, +1.6%), Brazil (28.6 million tonnes, -0.7%), and Turkey (28.4 million tonnes, -0.9%). As UNIAN reported earlier, the actions of Russian-backed militants and Russia’s military aggression in the Donbas, where the bulk of Ukrainian metallurgical enterprises are located, have caused raw material shortages and power cuts at some metallurgical plants. Some of these plants operated erratically, while some halted operations altogether. By mid-November, Alchevsk metallurgical facilities and Donetsk metallurgical plant had completely stopped operations. In 2013, Ukraine’s steel production dropped by 0.5%, to 32.824 million tonnes, having maintained its tenth place in the list. In 2013 versus 2012, Ukraine decreased production of steel, excluding continuously cast steel products, by 6.1%, to 16.066 million tonnes. Over the same period, Ukraine stepped up its production of continuously cast steel products, to 17.104 million tonnes.